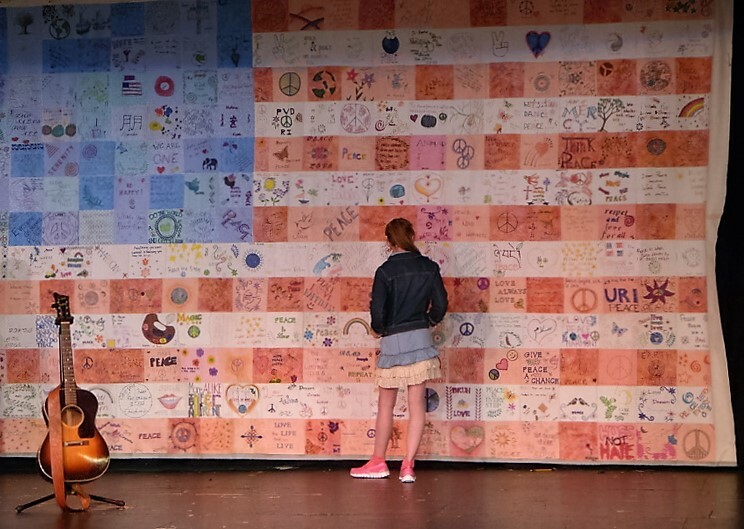 Project: Artist Cathren Housley and the Peace Flag Project (PFP) are collaborating to create “The United American Peace Flag, a flag comprised of more than 300 Peace Flags (PF) made by Rhode Islanders of all ages and backgrounds. Peace Flags, originally inspired by Tibetan Prayer Flags, express deep wishes for peace, kindness, unity, generosity and a better world. The 20′ by 10′ flag will be exhibited in RI at galleries, museums, concerts, festivals and more. The project is the inspiration of local artist Cathren Housley. In 2015 and 2016, PFP collaborated with Cathren to create “The Great American Peace Flag” (GAPF.) a flag of similar scale, constructed with Peace Flags made by adults and children all over RI. This flag has been displayed at concerts, festivals, graduation ceremonies, churches and Peace Fest 2016 and 2017. 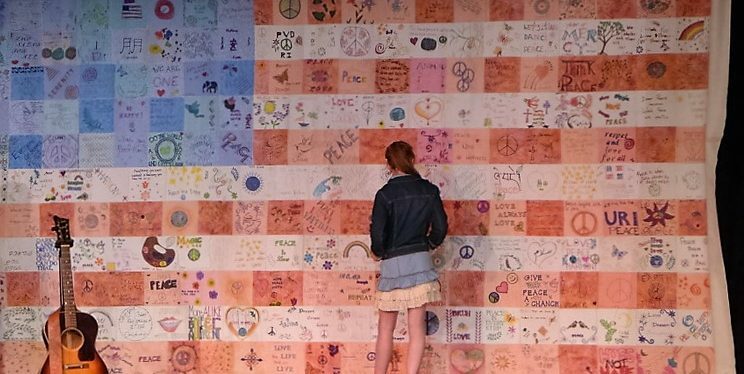 It has been well received as an American peace symbol as well as a spiritual one; it represents the collective expression of wishes for a better world by diverse communities in RI. members; Elementary, Middle and High school students. We are also making a special effort to engage prominent RI artists as well as lesser known visual artists. Our plan is to include at least 75 working artists in creating flags for this project. About the Organization: The PFP philosophy is that we are all peacemakers. We believe that each of us can make the world more peaceful in significant ways by how we treat one another every day. Behaving in more caring, thoughtful ways can promote healthier, more stable communities and a more peaceful planet. 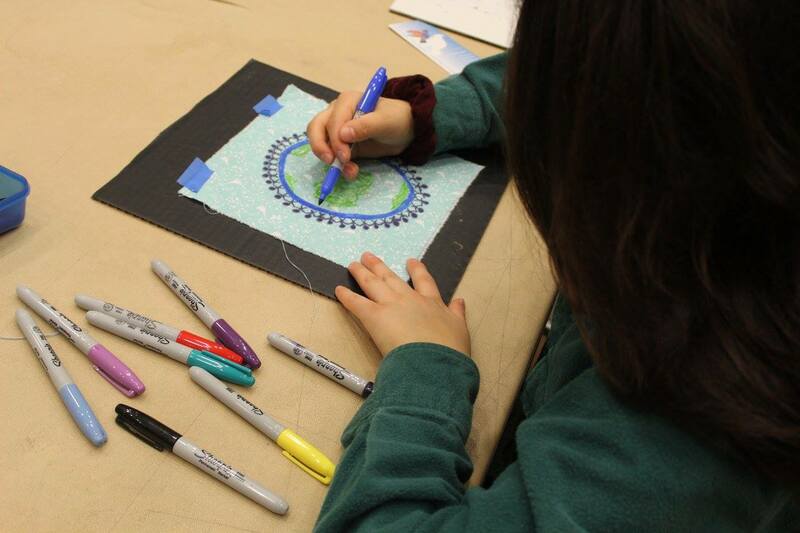 We provide opportunities for people of all ages to create Peace Flags that reflect their positive wishes for the world. Our major event is honoring the UN Peace Day each September; over the years, we have expanded to a Month of Peace.